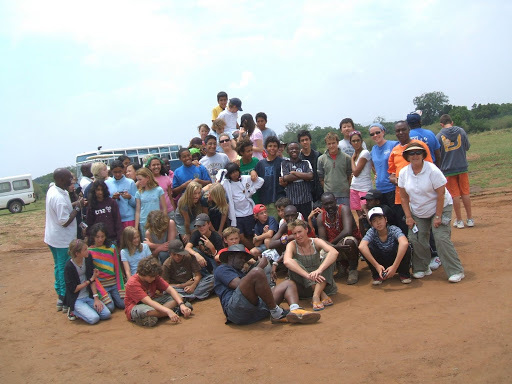 I recently returned from the 8th grade Intercultural Trip to the Masai Mara. Where? What’s that? 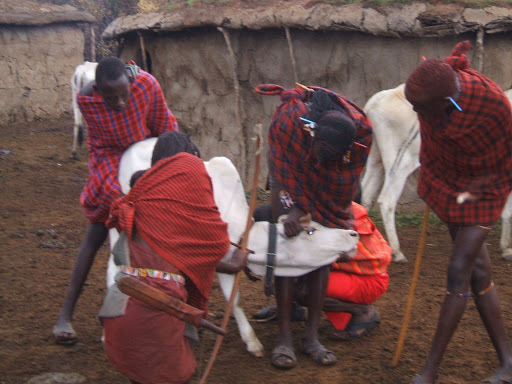 The Masai are a people-group that live in both Kenya and Tanzania. Since they are one of the more famous groups in this region, chances are good you’ve seen a picture or two of them – tall and skinny, cocooned in bright red- or blue-plaid blankets, earlobes often stretched to their shoulders, wearing several layers of brightly beaded jewelry. 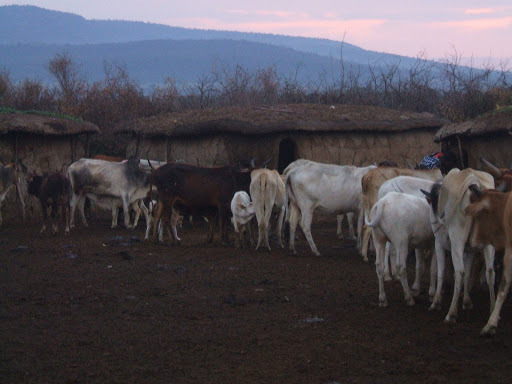 They are nomadic cattle herders who live in the highlands along the Great Rift Valley. These are the guys that often win Olympic marathons, and no wonder – if you’d been chasing the cows across mile-high plains since you were three, you might have a strong heart too. 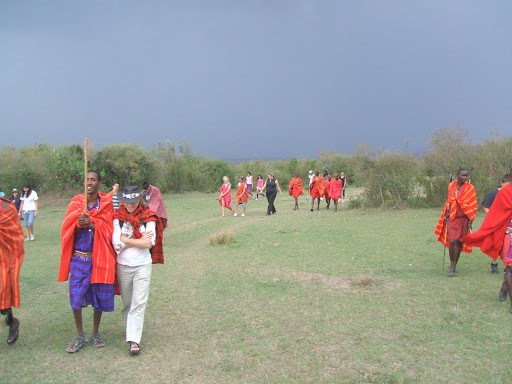 The 8th grade class at ISK went to learn about Masai culture and experience life in the Mara – the region where most Masai live. 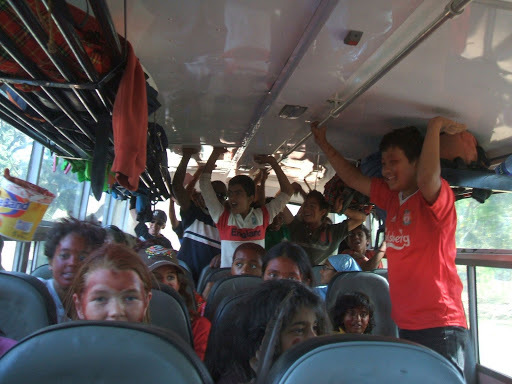 Below are a few pictures from the trip and a brief outline of activities. 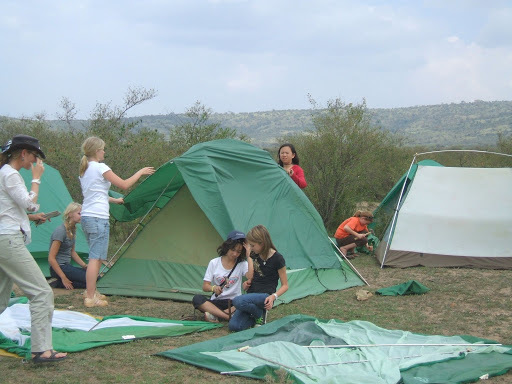 Day 1: Drive seven hours southwest of Nairobi and set up camp. Day 2: Up at 5:30 for a walk to the nearest village. Dawn in the village. Morning activities with the cattle include milking, bleeding, ear notching and branding. As you can see by the second picture, bleeding is done with a sharp arrow jab to the jugular. Blood is caught in a gourd and mixed with milk (and sometimes urine) for a warm breakfast. 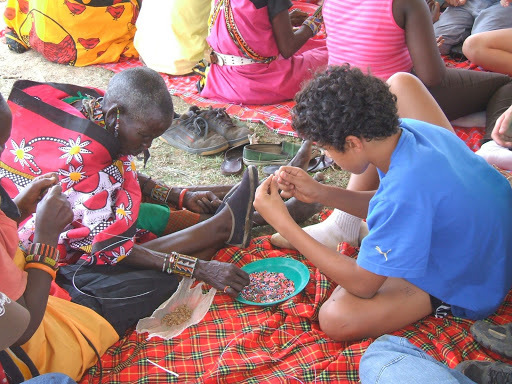 Afternoon activities included jewelry-making lessons from the women. 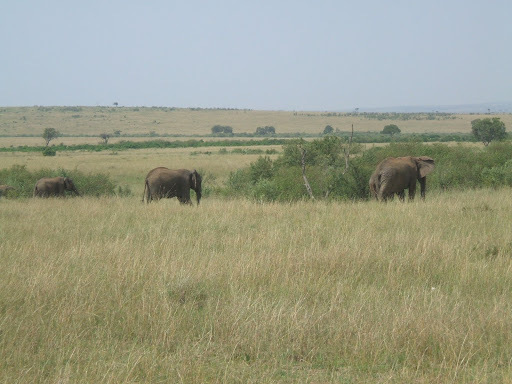 We spent most of the day in the Masai Mara national reserve – a game park that actually crosses the border with Tanzania. We drove in as far as the border, and took our picture on a spot that marks the crossing. There were plenty of animals for spotting: wildebeest, zebras, giraffe, impala, gazelle, topi, elephants, lions, rhino (these are rare but we did see one). Unfortunately the camera I was using had almost no zoom capability so I don’t have many good pics of the animals. 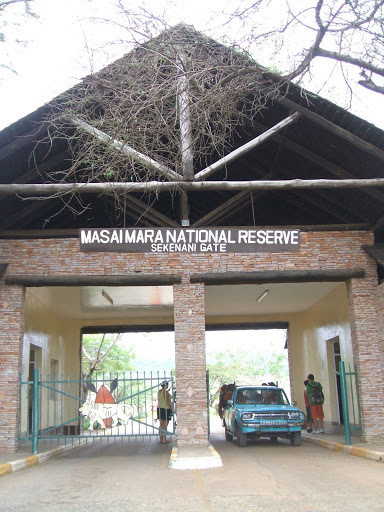 Day 4: A hike with the Masai warriors and evening barbecue (sort of). In the morning we took a hike up the nearest hill. Along the way, our guides taught the kids about the plants life and the many uses of certain species. We discovered the “tissue tree,” good for sweat absorption and deodorant. Acacia root: good for making as sling as a strip of it is very fiberous, chewing as gum, and flavoring soups. Then there is the “sandpaper tree,” the leaves of which, under patient hands, are just rough enough to smooth a walking stick. The guides also showed the kids how to start a fire the “old fashioned way” by rubbing two sticks together and setting the spark on a mound of dried elephant dung. 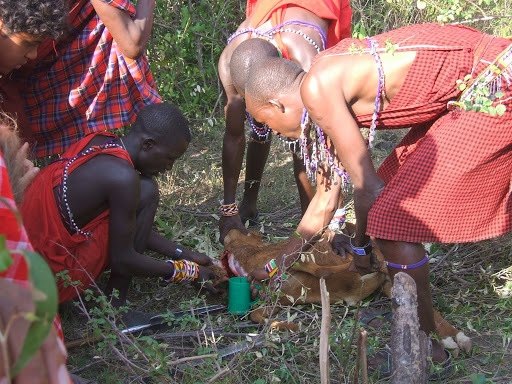 Later that evening, the Masai slaughtered five goats for the group. The process may have been slightly traumatic for a few of the kids who have never seen their meat while it was still bleating. Our small group got a good biology lesson out of it though – “What’s that little thing hanging off the liver?” “The gall bladder.” “What does that do?” “You’ll find out in 10th grade.” “Ewww, there’s green stuff in the stomach!” “Well, she was just chompin’ on some leaves right before she died …” The goat hinds, liver and ribs were roasted over an open fire and the innerds thrown in a soup. Day 5: Break down camp and drive seven hours back to Nairobi … oh, after painting the kids’ heads with the ocher mix that the warriors use. This smelly bus of kids is eager to get home. It’s a party at the temple! Sounds like a good time! Been up since 4AM with jet lag so have had the chance to read blogs for the first time in ages. Hope we get to visit soon – and Karibu Moshi of course! Neat writeup. The milk and blood thing sounds pretty gross. I loved that!- “You’ll find out in 10th grade.”So…did you try the blood?